For an archive of Utah Saints stuff 1991-2008, check out my old Utah Saints fan site. For a Utah Saints forum, go to the Utah Yahoo group. Fan site by Stuart Bruce. The Utahs "Getting Better"! No, it's not a quotation of a value judgement- it's the artist and track name of the new download-only single from the-artists-also-known-as-Utah-Saints. Yep, that's right, only nine years after their last new single (if you don't count "Something Good 08"), they have a new track available to download. It's called "Getting Better" (the working title discussed in some interviews was "Long Road"), and it's a massive electro-house stormer of a track. It's available now on iTunes, Beatport and all other good digital download outlets. You can hear a clip of both the original and the Drumsound & Bassline Smith remix on Youtube right now! This is a fan site for news about Utah Saints. It's mainly about their studio work- new tracks, remixes, mix albums, stuff online. 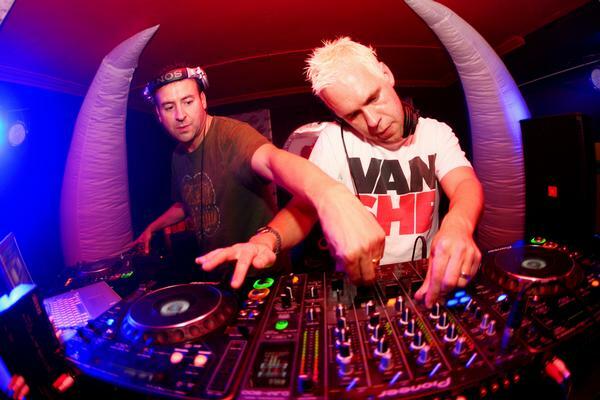 For more info about their regular DJing, check out their MySpace or their Sugarbeatclub site. The Losers "No Man Is An Island"
Bring Me The Horizon "Football Season"
Killaflaw "Set Me On Fire"